Before I post some offers I thought it would be a good idea to explain what T-Rapta is about and our ranges. 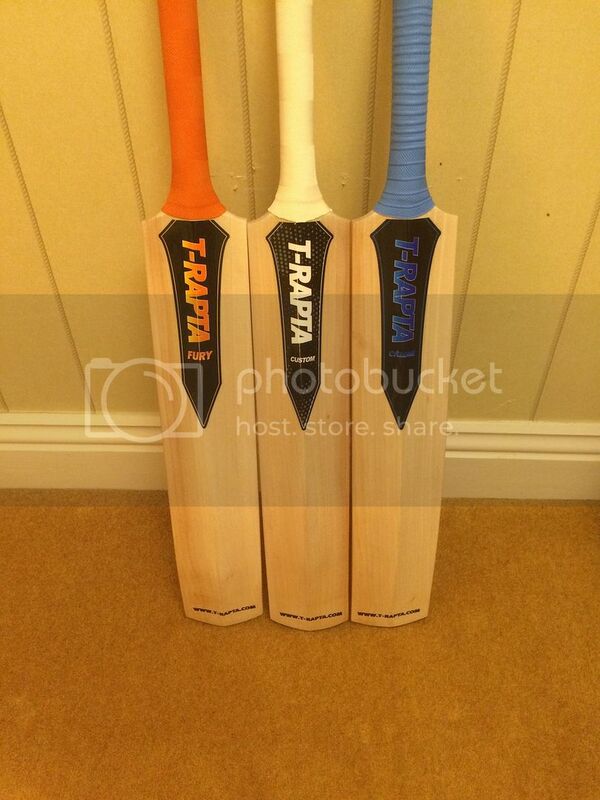 T-Rapta only makes and sells high quality, premium cricket equipment at honest and affordable prices. In my opinion, cricket bat and soft good prices have got silly recently. T-Rapta will be about value for money whilst being the highest quality on the market. All our bats are made in England. We cant say who we work with on a public forum but looking at the bat profiles we use I'm sure most on here will know who makes them for us. 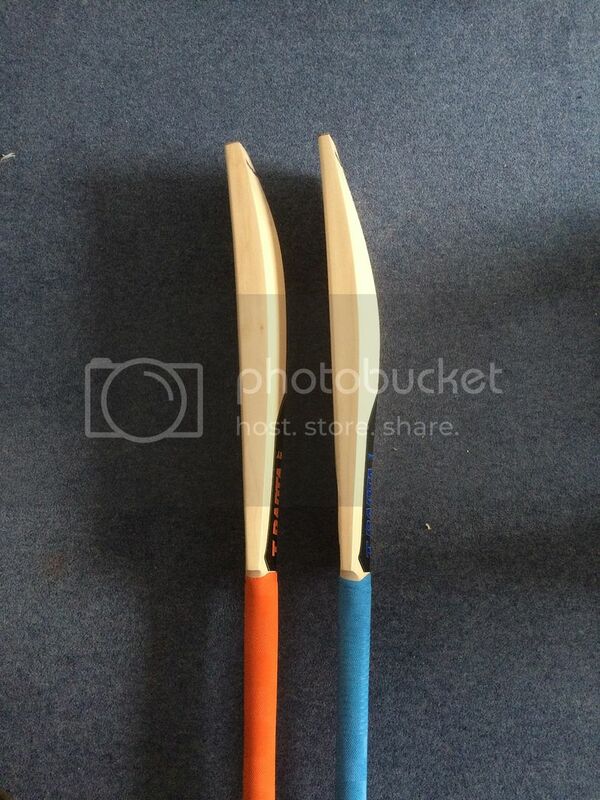 They all come with toe guards and a semi oval handle. T-10 = A mix of ugly grade one's and nice looking grade two's. 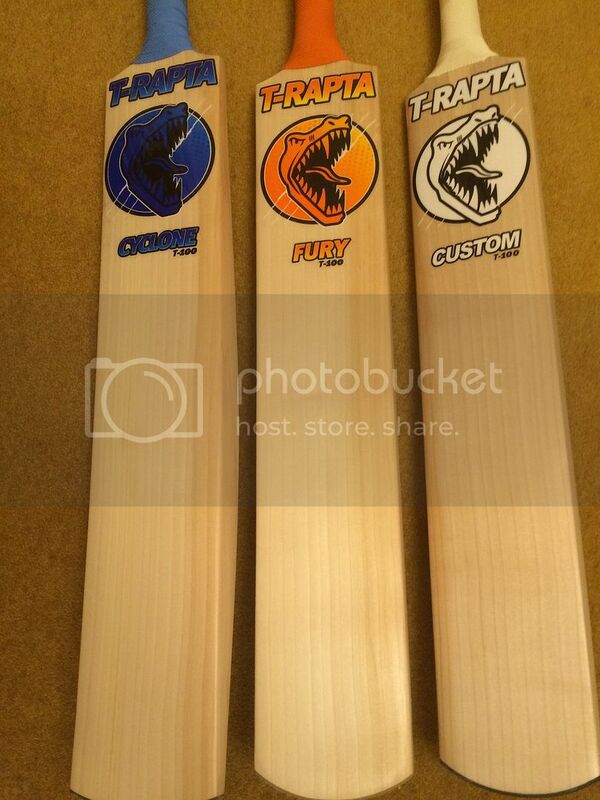 We have 3 ranges - Fury, Cyclone and Custom. Fury is the Tendulkar profile. Cyclone is the GT profile. Custom is any profile you want. Fury pad and glove are a modern design. Cyclone pad and glove are a traditional design. All our batting pads and gloves are test match level protection and are of the highest quality. We also manufacture cricket bags, cricket balls, duffle bags, thigh pads, chest pads and arm guards. I have designed our large wheelie bag myself and it took many months. I believe it really is one of the best cricket bags available. I only have a few left in stock but more are on the way. Please feel free to comment or PM me with any questions. T-Rapta offers professional quality equipment to everyday cricketers. Just looked at web site mate and looks good, prices are definatly reasonable. 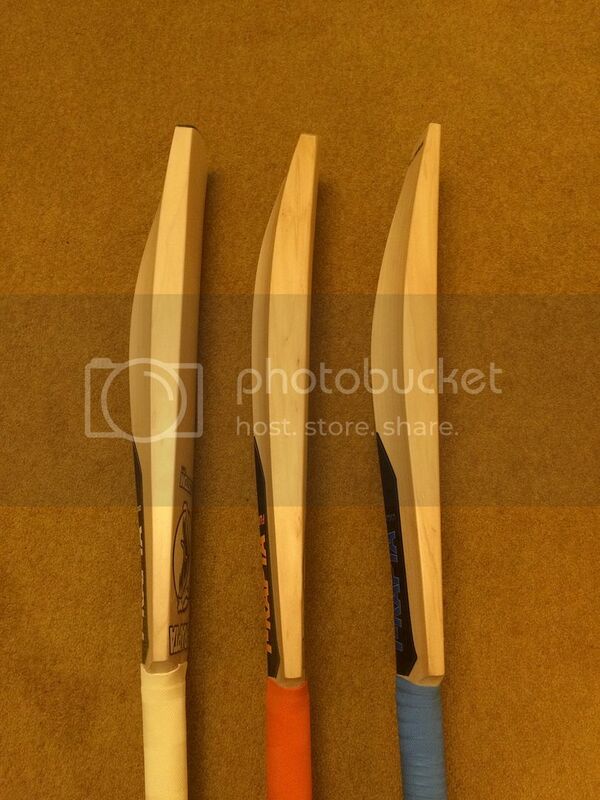 Softs look good and good to see you have what I assume to be a very good bat maker working with you. Softs look good and also well priced. The graphics for the bat may not be everyone's cup of tea and be interesting to see how they look on some actual stock pics. Good luck with everything mate. looks like nice kit especially the modern style softs. Great stuff Toby, glad you've decided to become a sponsor in addition to contributing and looking forward to seeing more of your gear in the weeks / months to come! Who was Toby before his user name was Rapta? Where are you based? Is it possible to come and visit? We are based in Essex, 20 mins from Chelmsford. looks good, i love the stickers especially the custom, very clean. 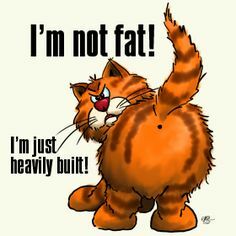 Hey, could you post some pics of the profiles, from the sides and from the toe up? 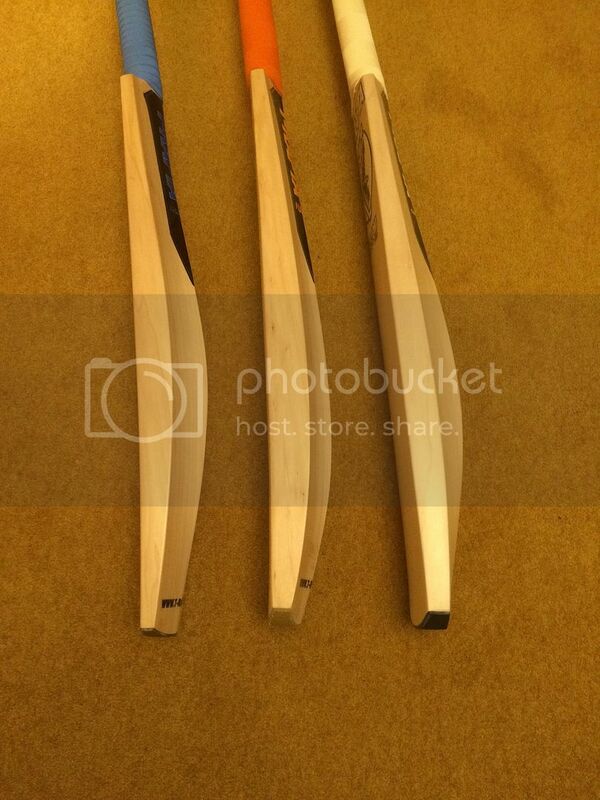 Cyclone profile on the left, Fury in the middle, Custom in the distinction profile on the right. Welcome and all the very best your Gear looks good . Page created in 0.676 seconds with 41 queries.